It is 10 a.m. on a summer morning in Delhi. It is also a Sunday. 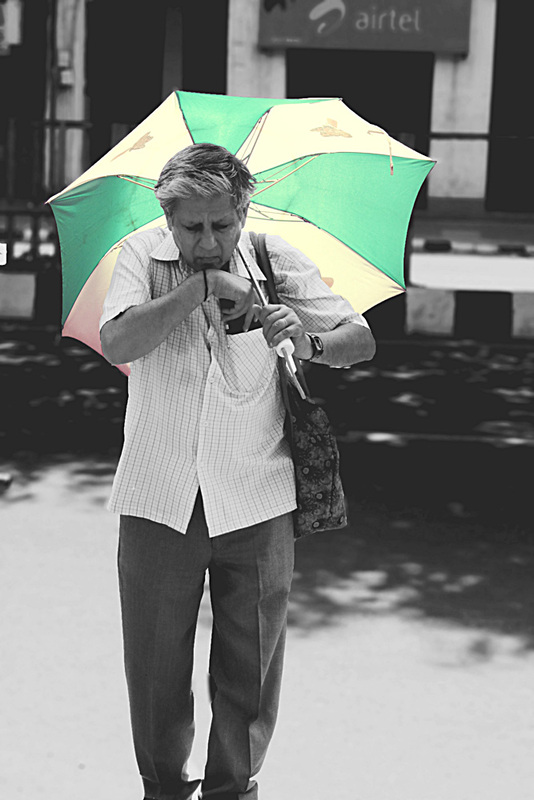 Most people are indoors, trying to seek respite from the heat. 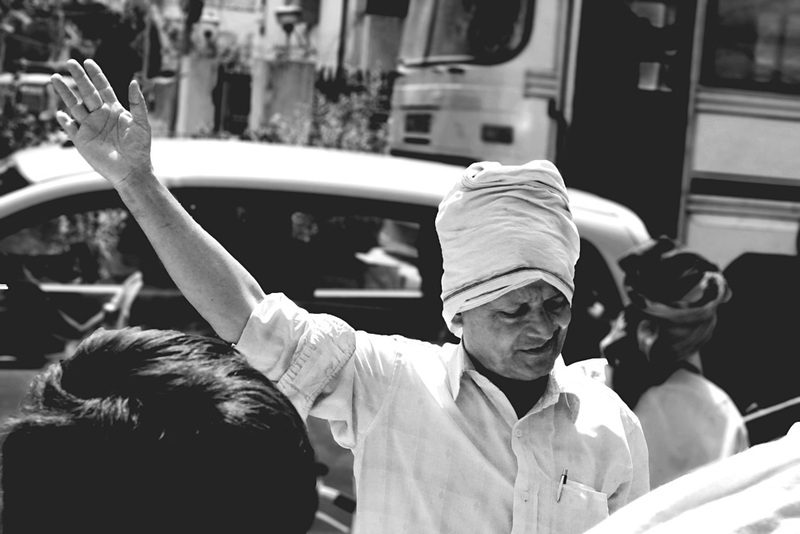 But in Daryaganj, near Jama Masjid, there is a steady flow of people on the street. There are students, couples, foreigners, and even a few elderly people. The black umbrella so many Delhi people carry in this weather is spotted every few steps. The stretch begins with reference books. Every edition of every book you’d ever need to crack any major entrance test in India can be found here. All second-hand, all affordable. Then there are hoards of children’s books. English mostly, but you will find some in French as well. We spot a Thomas the Tank Engine, we find a French pop-up poetry book, we almost buy a beautifully illustrated elephant story. Think of the long road as the city’s largest bookstore. Photograph by Pooja Anna Pant. The heat is stifling, but we’ve come to a place that is the opposite of a private library. This is the collection of too many people to count. There is but the frailest order here. Children’s books, adult reading, educational and art pamphlets, and so on. Nothing neater than that. There are piles where you have to kneel and sift through to find one you’d like; perhaps it’s lurking at the bottom. A Leon Uris for Rs 20. Or a Dorothy L. Sayers. Or a vintage Mills & Boon. Whatever you’re into. You just have to keep looking. There is an entire ten-feet of space devoted to art pamphlets. These were originally free at the museums they’re from, but here in India an art pamphlet is hard to come by. You gratefully fish out 25 rupees each for Van Gogh, Renoir, and Monet pamphlets. The print is surprisingly good, the pamphlet is happily comprehensive. Then you move two stalls further and discover that they’re being sold for 20 rupees there and feel cheated. C’est la vie. Mostly, you just keep moving. You watch carefully for something that’ll catch your eye. 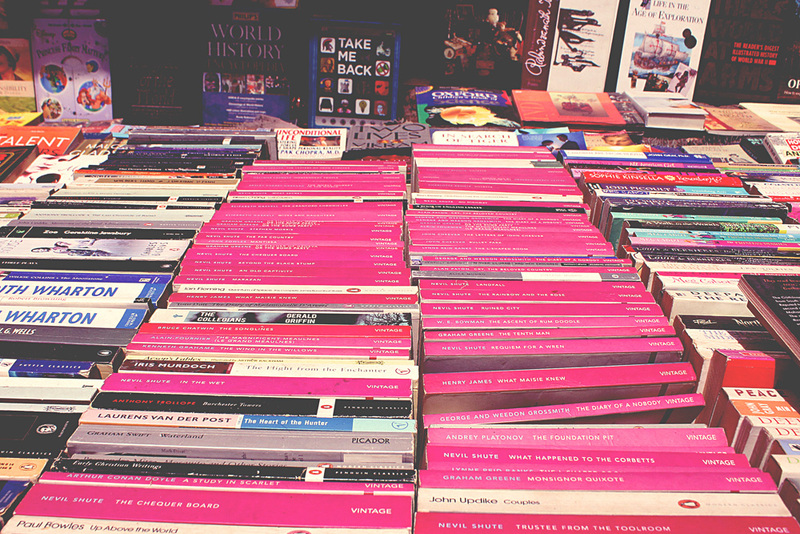 The piles are endless, and there is almost too much choice. Halt when you spot the Horrible Histories. Forget you’re a college student now and buy two Terry Dearys. Let the anti-ageing process begin. Spot an almost pristine copy of We Need to Talk About Kevin. Read it. We’ll want to talk about it. The chaos is imminent; the booksellers competing for your attention with their attractive deals. But it’s not the pandemonium of the vegetable market or Sarojini Nagar. People are concentrating; the murmur is only a few decibels higher than that of a library. The Private Lives of Pippa Lee practically jumps out at you. You’ve seen the movie. A book can only be as good or better, right? 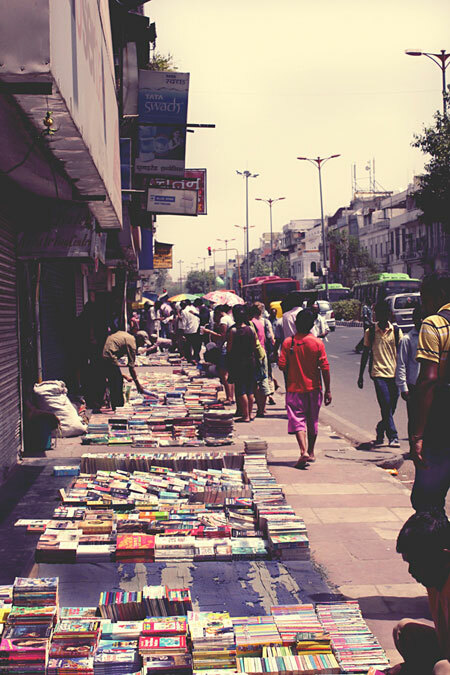 The road is long—think of it as the city’s largest bookstore. Curse yourself for not having carried an umbrella. Then stumble upon a self-illustrated edition of The Carpet People by Terry Pratchett. Jump up and down and scream and scare the bejeesus out of the other shoppers. You’ve only spent a couple of hundred so far. The place isn’t always cheap, but the items are usually worth it. Your handbag is getting pretty heavy now. The sun is nearing its zenith, and you don’t want to jinx it. Head back home for a cold beverage, and survey the spoils. 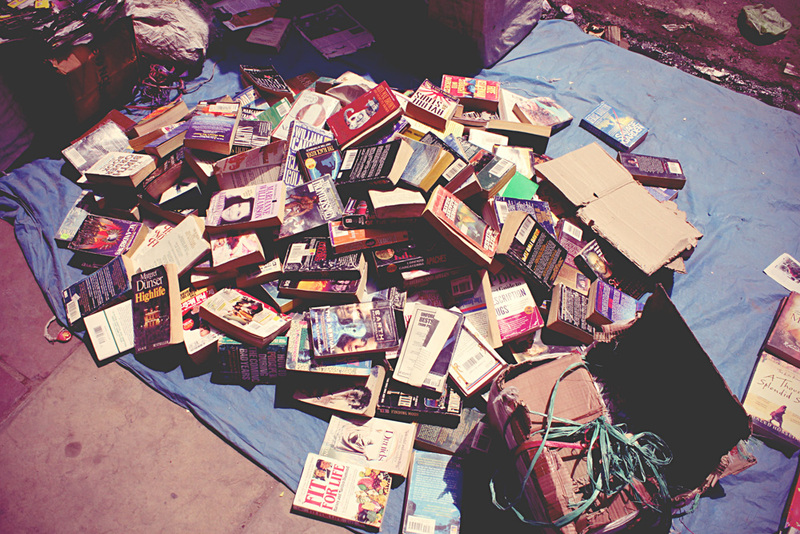 The second-hand book market is open on Sunday mornings in Daryaganj. 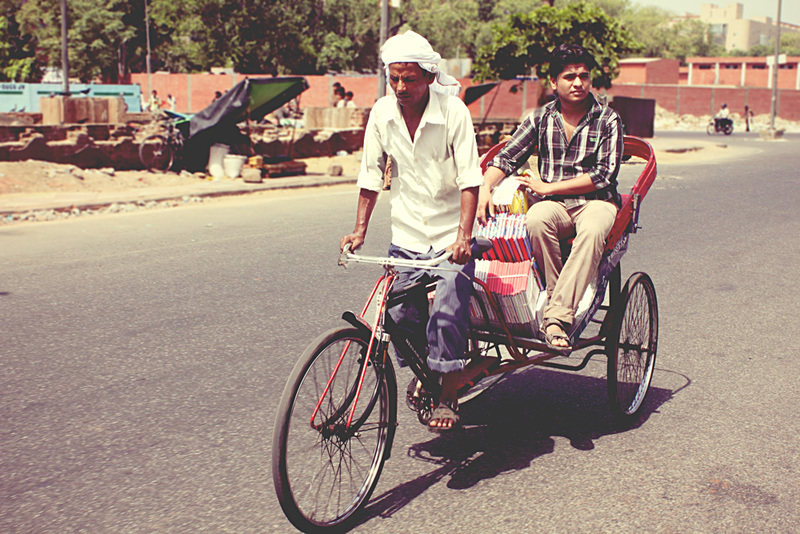 You can get off at Chawri Bazaar or New Delhi railway station and then take a rickshaw. See you there. Your grammar could use some work. – Then there are the* hoards of children’s books. – The word “imminent” indicates “forthcoming”. Your use of it is absolutely incorrect in this context.All in all, this piece was just average.